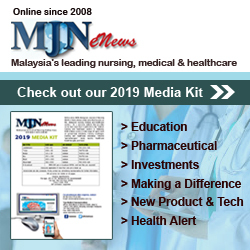 Quicker, accurate diagnoses for dangerous diseases and genetic disorders - Healthcare Asia Daily News | Asia's Leading News and Information Source on Healthcare and Medical Industry, Medical Technology, Healthcare Business and R&D, Healthcare Events. Online since 2010. : Healthcare Asia Daily News | Asia's Leading News and Information Source on Healthcare and Medical Industry, Medical Technology, Healthcare Business and R&D, Healthcare Events. Online since 2010. There is growing awareness of the valuable role that diagnostics can play, both in the early identification and treatment of dangerous or infectious diseases as well as genetic disorders. 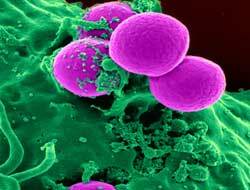 The early and accurate identification of one’s predisposition to cancer, sexually transmitted diseases (STDs), diabetes, cardiac conditions, or the presence of underlying pathogens such as Zika, Dengue, or Chikungunya, have the potential to save thousands of lives while preventing infectious diseases from spreading. Around the world, the role of diagnostics has grown in prominence, driven by advances in the fields of genomics and nanotechnology. Growing health consciousness among the middle and higher-income families has also contributed to a shift in focus within the healthcare industry from primarily reactive care, to more preventive-based healthcare. In the past, genetic services were limited to genetic counselling where healthcare professionals would attempt to determine the likelihood of diseases based on family histories. Today, with the help of more sophisticated technologies, genetic services in many healthcare institutions and establishments have evolved to include highly accurate genetic tests in addition to genetic counselling. When it comes to infectious disease, rapid and accurate establishment of its cause is paramount. One of the major drivers for the development of Point-of-Care (POC) diagnostics is the ability to diagnose infectious diseases in areas with limited infrastructure at minimum cost. Emerging technologies have made it possible to develop POC diagnostic tools that are fast, easy-to-use, and deliver more sensitive as well as accurate results in the most cost-effective manner. Faster, more accurate and more affordable diagnostic tools could prove to be the difference between life and death and save a company’s reputation as well as millions of dollars on product recalls or litigation procedures. Simultaneously, there is a pressing need in the diagnostics field to ensure that appropriate standards and practices are being upheld in accordance with social, ethical and safety concerns. With the growing prominence of the Southeast Asian market for medical and diagnostic tools, several of the region’s leading diagnostics experts will be showcasing their latest, most cutting-edge products at the upcoming MEDICAL FAIR ASIA (MFA) 2018 in Singapore. “There are many unreliable diagnostic products in the market giving inferior or inaccurate results, which could lead to unfortunate consequences. We hope to generate more awareness of such issues and offer our products that deliver accurate results at an affordable price as an alternative. And what better platform to achieve this than at MFA 2018, which brings together medical and healthcare communities from the region under one roof,” said Soar Gao, General Manager of Hangzhou AllTest Biotech, a Chinese company that will be exhibiting its range of more than 400 rapid immunoassay tests at the event. Another innovative product that will make its appearance on the show floor of MFA 2018 will be the easy-to-use genetic testing strip C-PAS, which is manufactured by TBA from Japan (Level B2 – Booth 2E20). 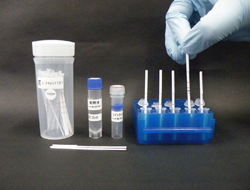 C-PAS enables multiplex assay of different target gene parameters simultaneously and can be used for multi-detection of infectious diseases like Dengue, Zika and Chikungunya; tuberculosis (TB) and microbacterium avium complex (MAC); STDs, as well as animal species identification in meat, and shrimp pathogen detection. According to its Sales Manager, Hitoshi Sakurada, MFA 2018 will serve as a crucial platform to mine new business leads and forge partnerships in the ASEAN region, particularly for their new products. “MEDICAL FAIR ASIA is a crucial platform for us to introduce our products and services to the international audience, particularly those from Southeast Asia. We have already begun collaborating actively with some ASEAN companies for the local manufacturing of our genetic testing kits especially for pathogen detection of tropical infectious diseases, and we are looking forward to meeting more potential ASEAN business partners at the upcoming fair,” said Sakurada. 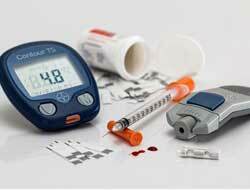 Another new technology that is expected to turn heads at this year’s MFA is the BIMEDCHIP Thalassemia Kit. Alpha and beta thalassaemia are the most commonly inherited single-gene disorders in the world, and according to the World Health Organisation (WHO), at least 5.2% of the world’s population carry a significant variant, with the highest prevalence in Mediterranean, Middle East, Southeast Asian and African countries. 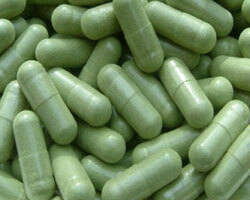 Vietnamese company BIMEDTECH hopes to address this issue with its latest product. Meanwhile, specialists in research and development (R&D) and technological innovation of clinical diagnoses in China since 2004, Guangzhou KOFA Biotechnology will showcase KOFA’s POCT (Point Of Care Testing) products at MFA 2018, including its latest FIA Quantitative POCT Analyser for the quantitative testing of infection, diabetes, cardiac markers and coagulation, making quantitative results available in just three to 15 minutes. The product, which is the first of its kind to be launched in the Southeast Asian region, is specially designed for all healthcare institutions such as hospitals, labs and healthcare centres. The company will also be exhibiting its biochemical products including biochemical reagents and analysers for over 100 kinds of reagents with different packages for different analysers. 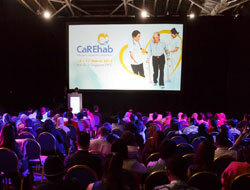 Now onto its 12th iteration, MFA 2018, which will take place from 29-31 August at Singapore’s Marina Bay Sands, continues to be the leading medical trade fair in the ASEAN and Asia-Pacific region, bringing together the region’s medical and healthcare fraternity to discover the latest industry innovations, as well as to provide opportunities for networking and forging new business leads.